I love making homemade granola! Not only is it cost efficient, but it’s super easy. I also like to make my own because I get to control what ingredients I use! Many store-bought brands appear healthy, but are actually loaded with excess sugars and oils! So do your body a favor and try making your own! Granola not only makes for a tasty breakfast, but also makes for a great gift for friends and family. 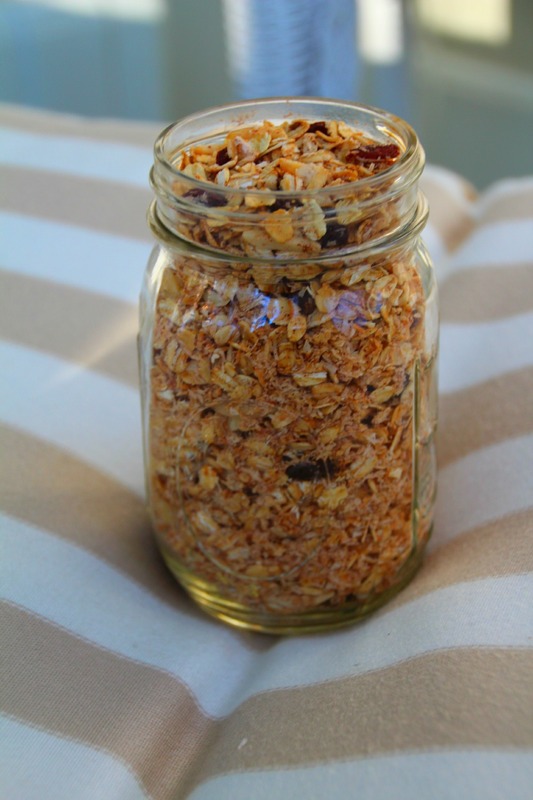 So, without further ado, here is my outrageously delicious recipe for Healthy Holiday Granola! + Place all of the ingredients into a bowl and mix well. + Spread the granola evenly over a cookie sheet. Bake for 10-13 minutes or until crispy. + Remove from oven and allow to cool for ten minutes. Enjoy!